Comet ISON, the topic of conversation amongst Astronomy enthusiasts worldwide, was formed in the Oort cloud near the orbit of Neptune and captured the world's attention as it approached our galaxy's dominant star - the Sun - and faced imminent annihilation. 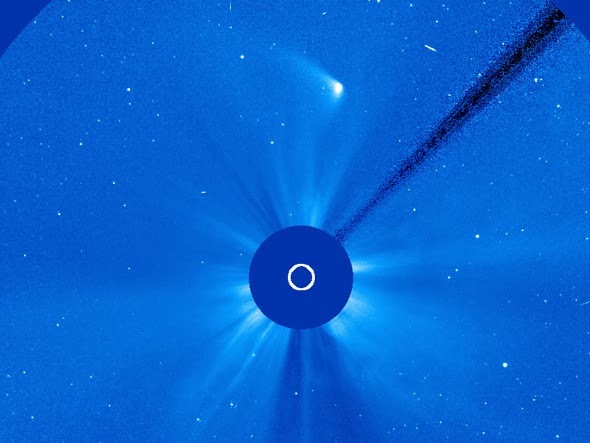 All of which set the stage for the comet's dramatic and Milky Way sized exit stage left yesterday afternoon. Astronomers predicted that either ISON would be obliterated by the Sun as it reached perihelion or that a small remnant of the comet would briefly survive and bathe the night sky in an galactic firework show. And at first it appeared the little comet was indeed destroyed, being confirmed within the scientific community when NASA declared it dead. 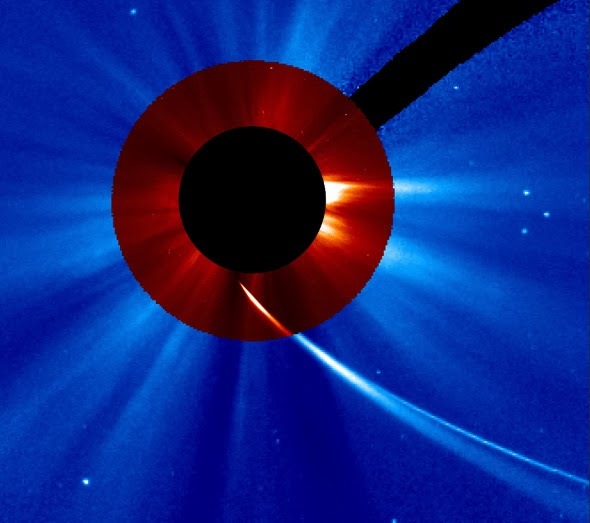 Amateur astronomers continued to watch for signs of ISON and what soon emerged was a nucleus, albeit smaller, and tail of what had survived perihelion (Greek for near the god of the sun) and continuing on its orbit across the solar system, dumbfounding everyone in the process. It remains to be seen whether ISON survives the next couple of days and does indeed self-destruct, or if the world's favorite little comet completely survives its brush with the solar system's twenty-seven million degree Fahrenheit flaming ball of death and completes its journey across our solar system and beyond.